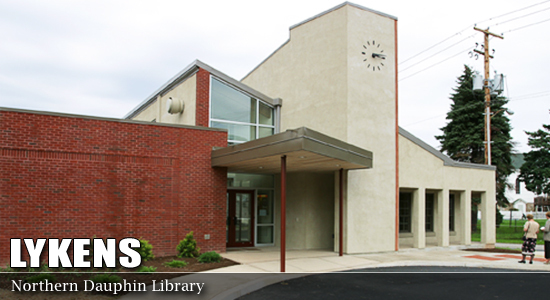 The Northern Dauphin Library is located in Lykens at 683 Main Street. The library is located along State Route 209 at 683 Main Street, approximately one block east of the traffic light. The library is handicapped accessible at both entrances into the building.. The library has a parking lot at the front entrance with ample parking.